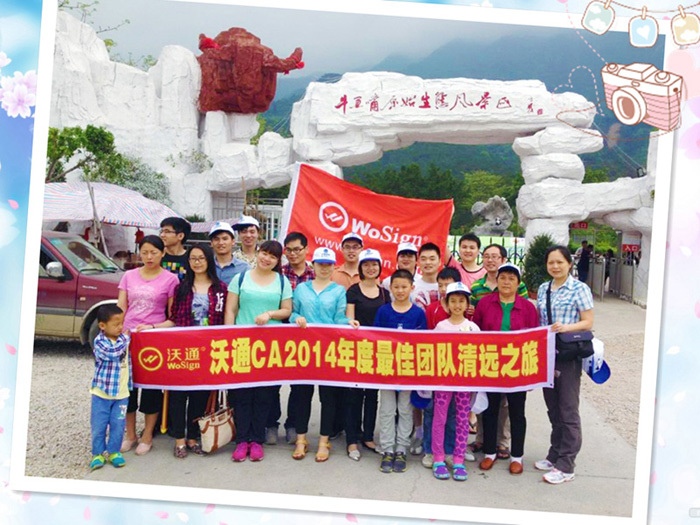 2014 outstanding team of WoSign Outing in Qingyuan-WoSign SSL Certificates! Spring is in the air in southern April. It is the right time for an outing. Last weekend, outstanding team in 2014 of WoSign, Online Marketing department, has a sweet date with the beautiful spring. Their destination is Qingyuan in Guangdong, known as Little Guilin and famous for hot springs and rafting. After finishing the rafting challenge, the team also experienced hot spring and visited the forest park, enjoying the natural scenery. This journey, which took 2 days and nights, has increased communication among team members and released the pressure from work. It also has strengthened team cohesiveness and brought new energy to future works.